It’s Thursday again and that means I have another fabulous blogger lined up for my Meet The Blogger Series. 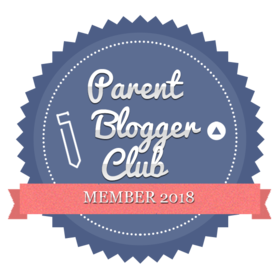 Today’s featured blogger is Ellie from A Book Devourer whom I got to know when she took part in a recent Blog Tour I organised. As the name suggests she blogs about all things books and her Instagram page is filled with stunning bookish photos that will make any bibliophile drool! I hope you enjoy reading about Ellie’s blog and getting to know a bit more about her. I am Merinellie and I am 19 years old from the Philippines. At first I was just part of bookstagram, a community for book lovers in Instagram, and that’s where I discovered book blogging. I post book reviews and write about anything related to books. I’ve had my site A Book Devourer for a little over a year now but I’ve been on and off with blogging because of my studies. And I still have a lot of room for improvements, I haven’t really gotten the hang of it yet. I always wanted to tell stories and that is what pushed me to create my blog. I wanted to share my thoughts and insights about books, characters, and life in general. I don’t! If I am not motivated then I stop. I don’t push myself. I just take a rest and think and let time take away whatever hinders me from doing things. The thought of no one reading your blog is somewhat heartbreaking. One of my other struggle too is reaching out for blog tour hosts so I can participate. I don’t have that much audience so I am quite anxious that they might not pick me. My favourite will be the first book review I posted, Book Review: Dying To Know You. It’s memorable. I hope that I can always bring an honest review and write something that will touch the readers heart. I hope they can find comfort in my words. Night in. I’m kinda introvert. Summer. I don’t have much choice, we only have two seasons. Box set! Books are better. I’d like to say a massive thank you to Ellie for taking part. Check out next week’s post as I welcome another fabulous blogger.